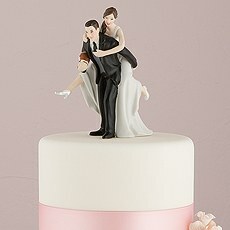 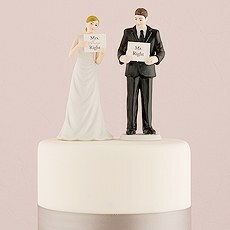 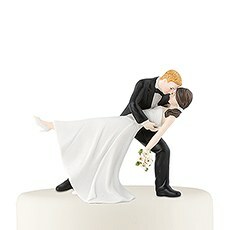 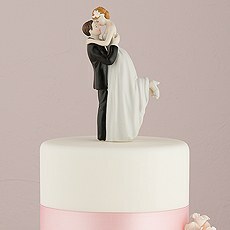 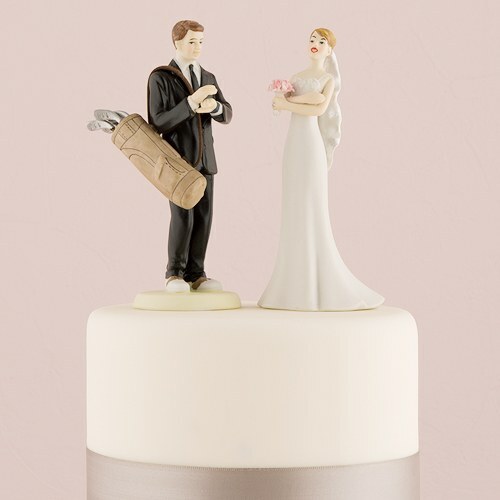 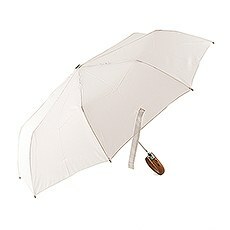 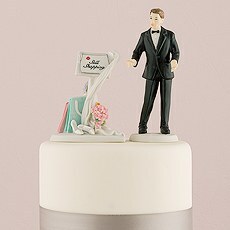 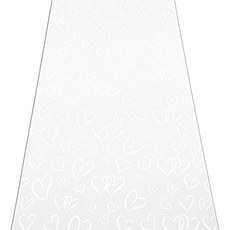 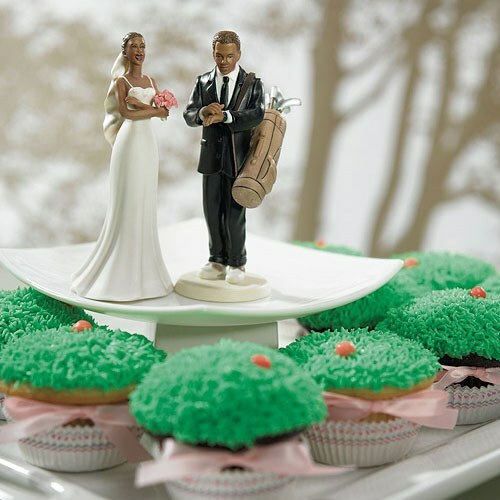 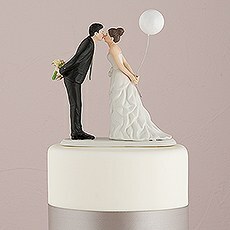 Any golf-loving groom will be delighted to see our Golfing Groom Wedding Cake Toppers from The Knot Shop. 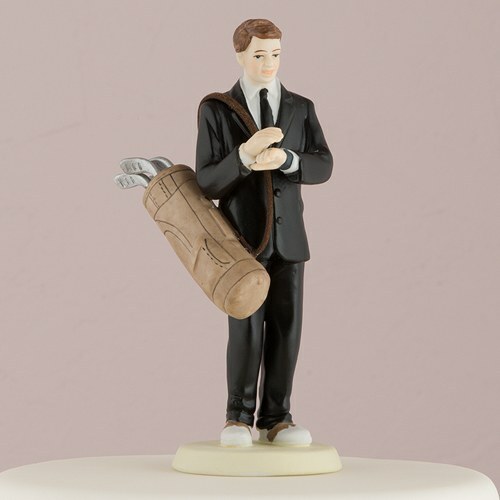 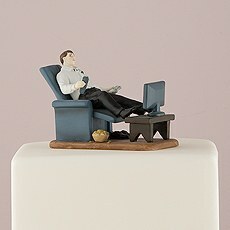 This high-quality porcelain golf cake topper features a suited groom sporting his golf bag and golf shoes, looking ready to hit the links. 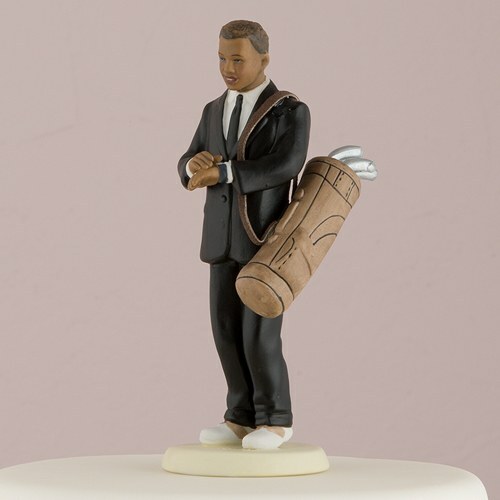 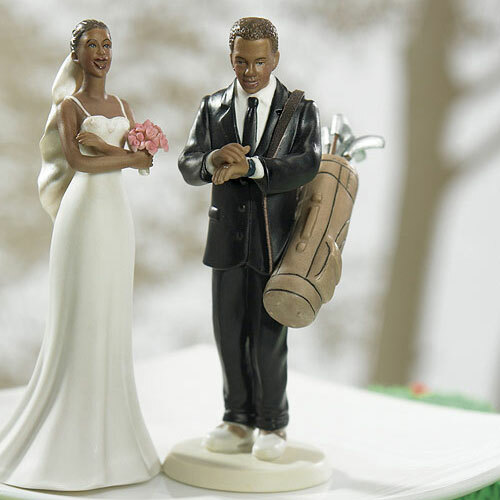 You can customize our golf cake toppers to your liking with a wide range of skin tones and hair colors so they look just like you and your spouse-to-be. 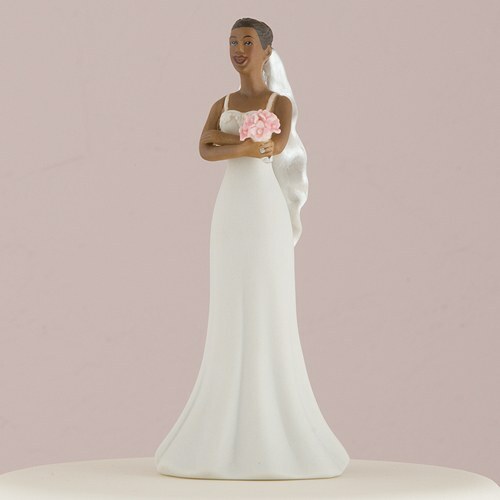 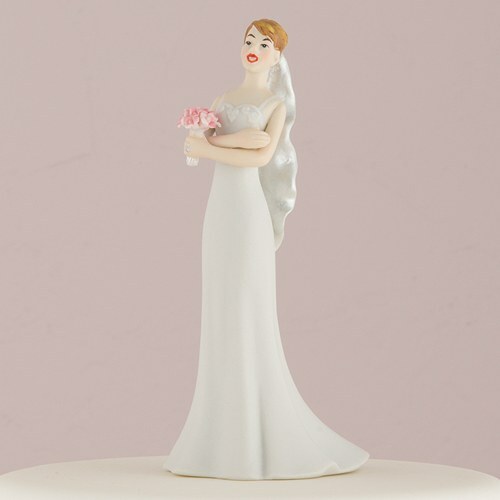 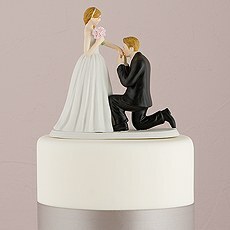 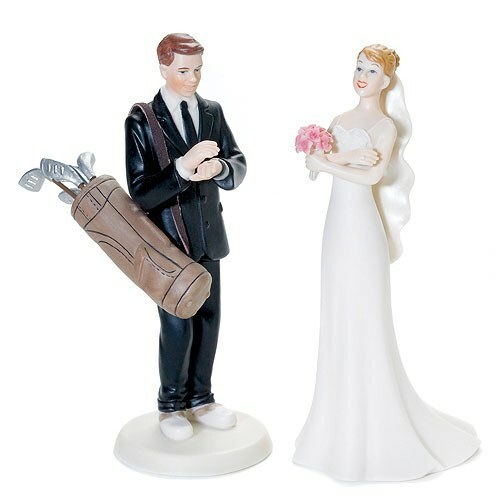 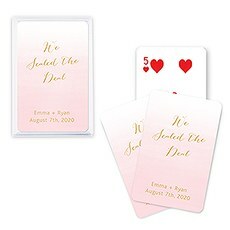 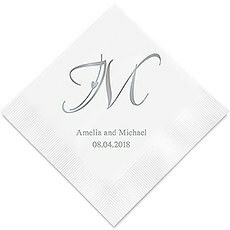 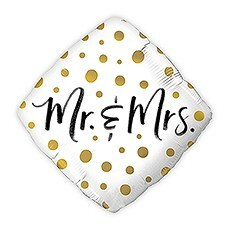 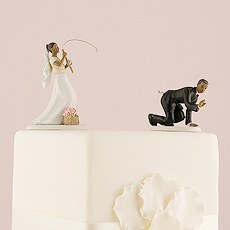 These unique figurines make the perfect addition to golf wedding cakes and groom's cakes and are designed to be cherished even after you've said "I do." 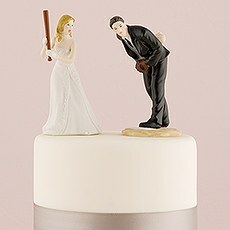 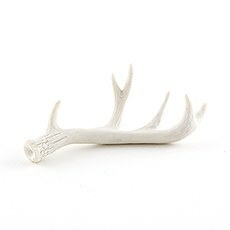 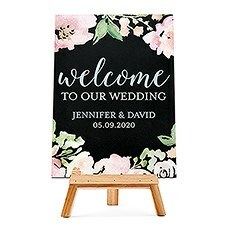 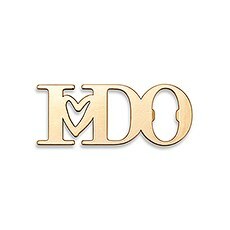 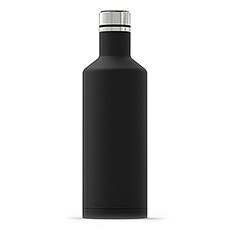 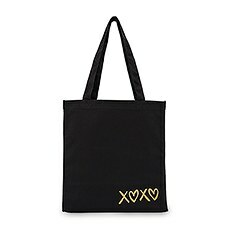 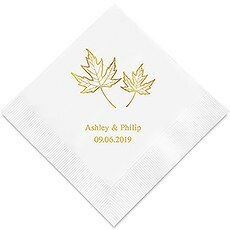 Each one is crafted using time-honored ceramics techniques and is hand-painted, so you can expect yours to have special variations that makes it a total one-of-a-kind.